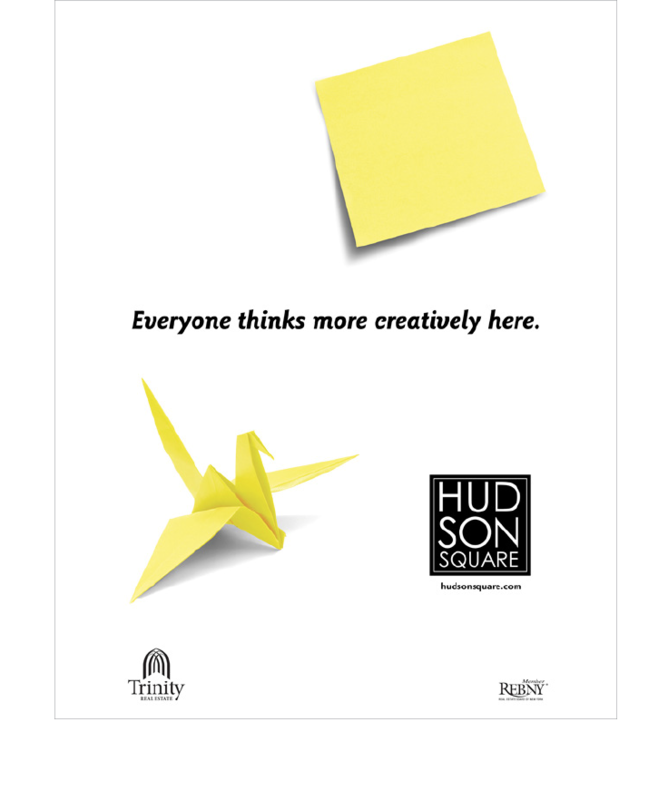 “Everyone thinks more creatively here” origami bird campaign. 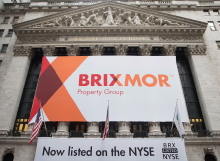 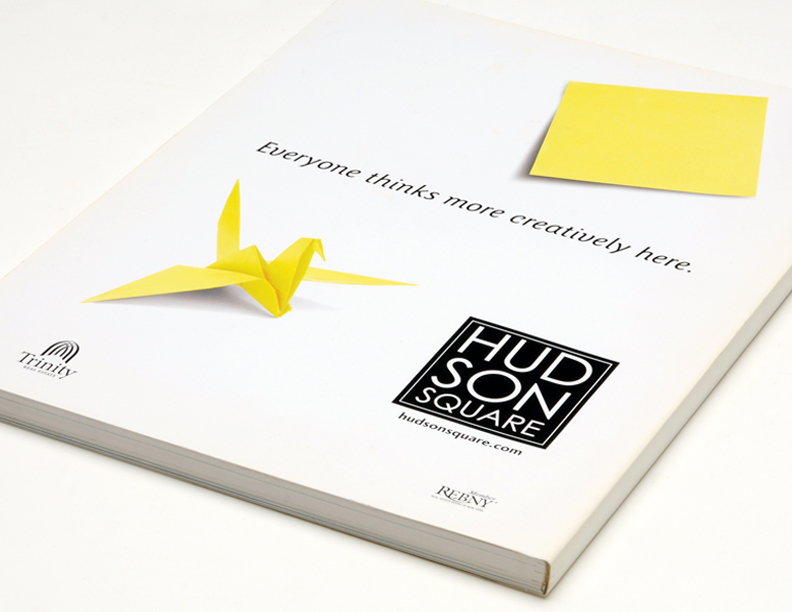 Ad ran in multiple magazines to promote availabilities in the Hudson Square buildings in lower Manhattan. 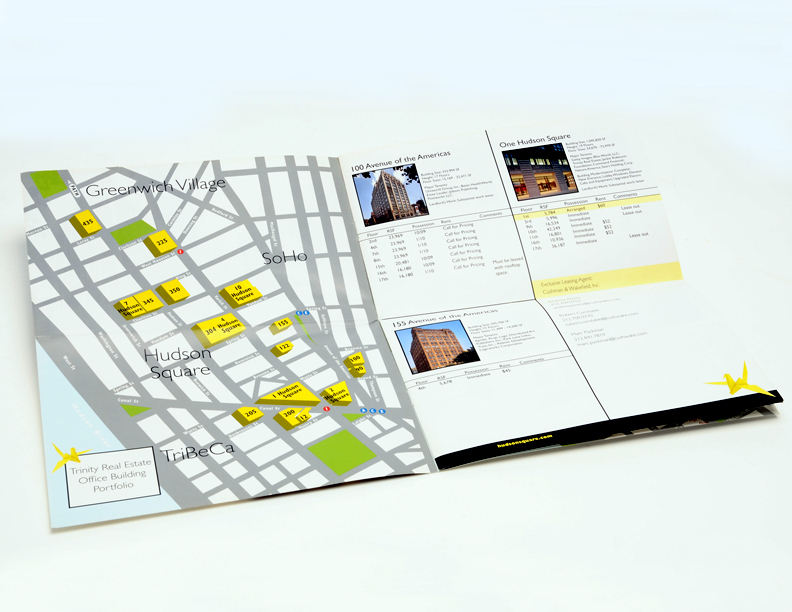 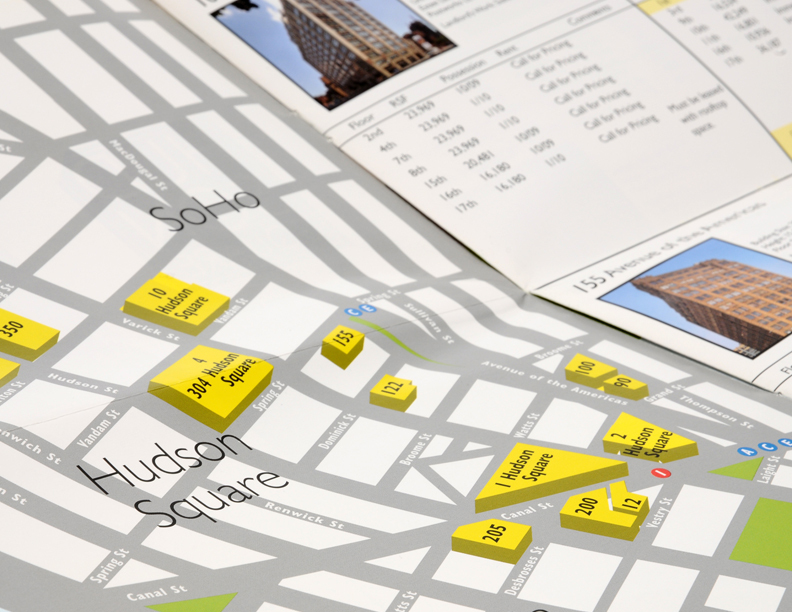 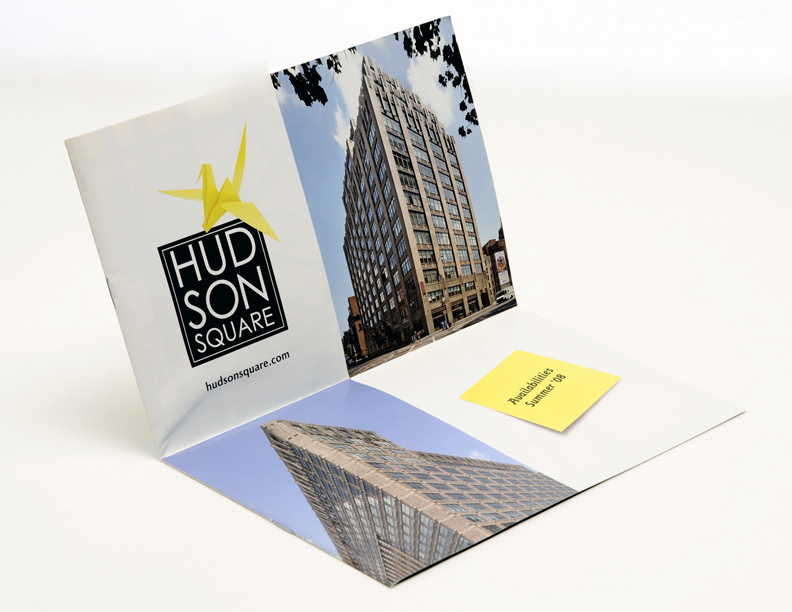 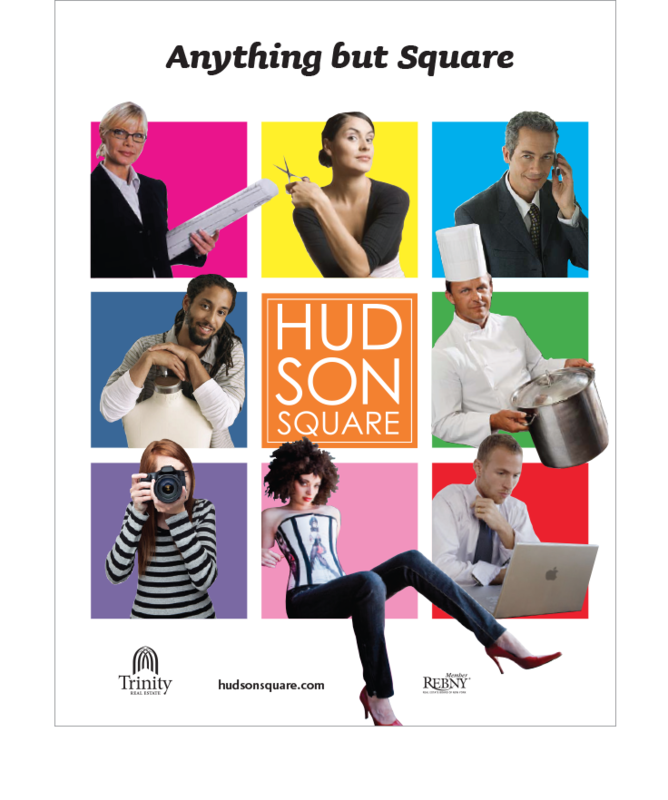 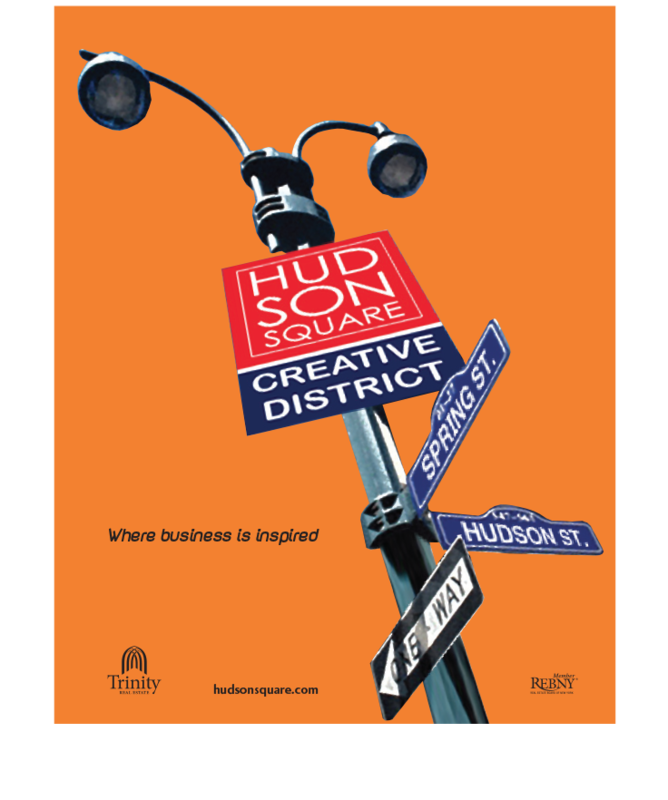 The themed availabilities mailer was sent to prospective brokers and tenants to show current availabilities in all of the Hudson Square properties. 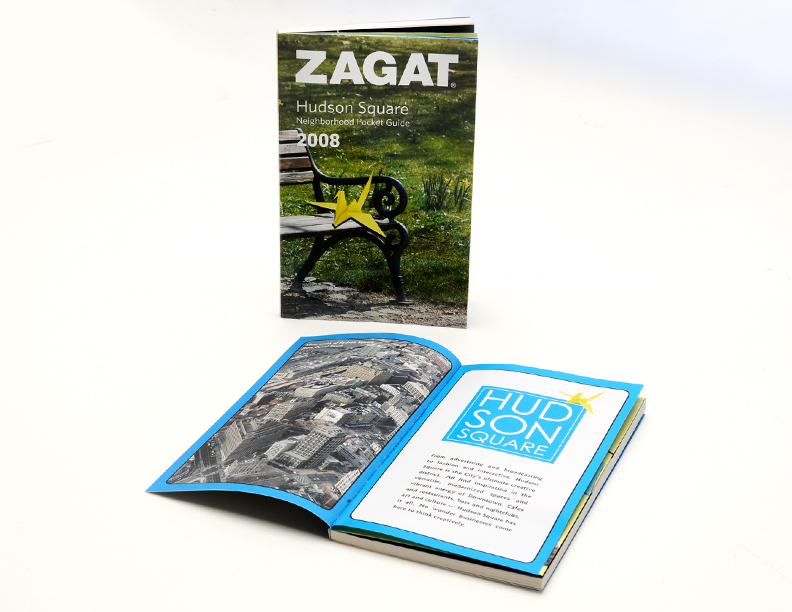 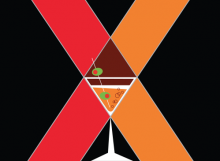 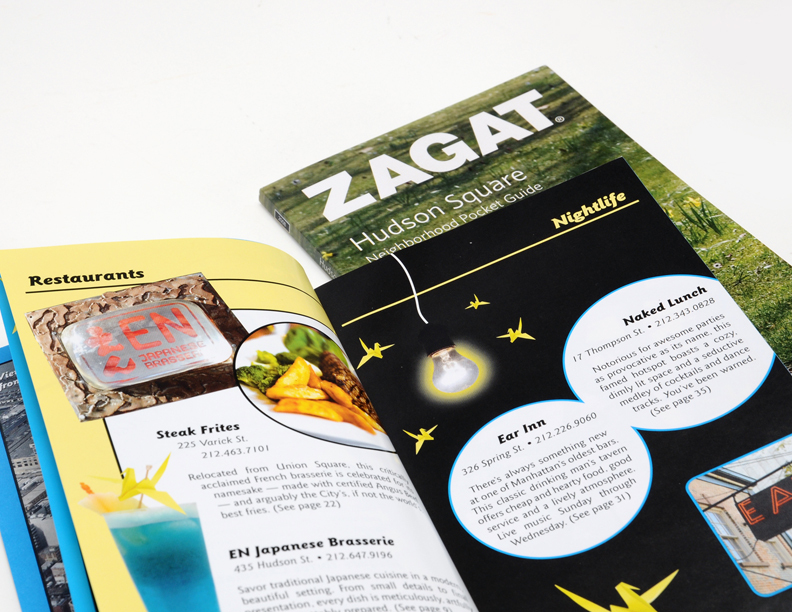 Hudson Square Special Edition of Zagat Magazine. 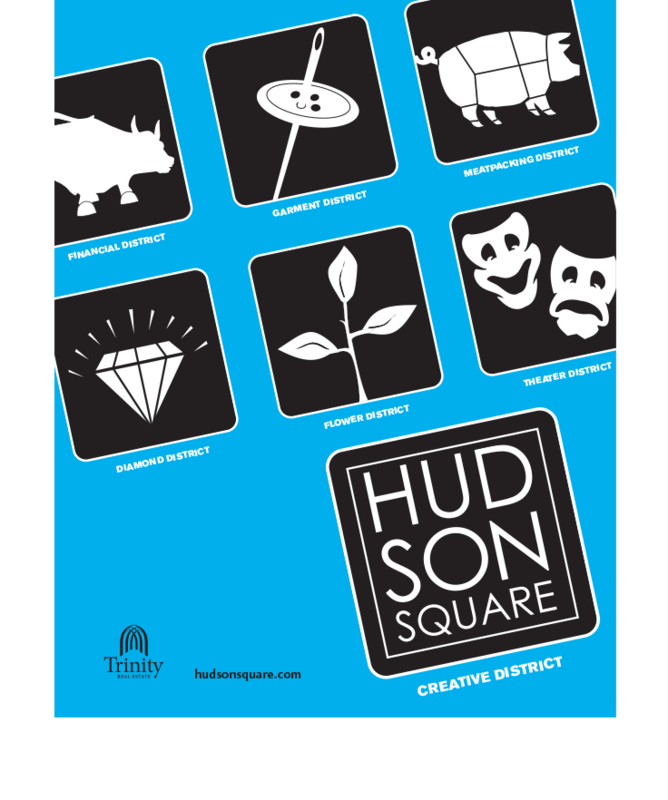 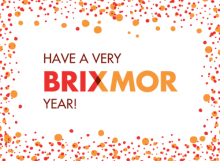 Features the “Everyone thinks more creatively here” theme throughout.